I thought I would do something different today. Instead of giving you ideas based on how I cook with my child, I want to bequeath to you one my my “I can’t live without’ bibles of the kitchen. I read a time tested set of cookbooks when I’m looking for inspiration, and I love a good personality inserted into cooking. Miss Dahl, or Sophie, has several cookbooks, but one in particular that I can’t get enough of, is her Miss Dahl’s voluptuous delights. It’s hilarious, it has fantastic recipes that when modified are completely toddler friendly, and I just love the personality of the book. She writes in narrative style (notice any commonalities? ), and she doesn’t take herself too seriously or apologize for who she is, and how her upbringing helped get her to where she is today. When Will and I lived in London, she had a cooking show where she inserted emotions into each episode, and she was spot on. She also happens to be dating one of my favorite, pop jazz singers Jaime Cullum, who I saw way back when in 2004 when living in D.C. At the 9:30 club. I love it when two people I like get together (famous people obviously, otherwise I wouldn’t know the difference really) because I feel I get a two for one. I love her descriptions of food, truly helping readers to find the beauty in what they cook and what they cook with, as well as her comforting choice of recipes. I’ll share my top two (difficult to pick, check out the book for more) and give you an idea as to how I modify to make more toddler friendly. As an aside, she divides this book into seasons, which is nice as it allows the reader to shop locally, and the photographs are beautiful. So easy! So delicious! Make this as a main with a nice raita (which is a great dish for your child to prepare all on their own). I tend to make ours super spicy and to grind up some cooked lentils into the patty. Try frying in coconut oil for a pleasant surprise! This is a year round dish. It is lentils, which my daughter loves, and lots of odds and ends thrown into a dish. I find this a versatile recipe, and I typically only use it for the basics and then adapt based on mood and what’s in the kitchen, making this a very simple recipe to use with and for your kids! While this is listed in the summer section, I find something so autumnal about fennel that I tend to make it several seasons of the year, and cheese and cream make me think of nights turned cold. Since this is a chicken dish, if your child eats chicken, you child will eat this. One of the easiest ways to get your child to help with this recipe in the kitchen is to bathe the fennel in the boiling water (with supervision) and to help pour and stir the sauce and spices. I add onions, garlic and carrots to this dish and it is divine! Okay, that was three recipes, I couldn’t help myself. Check out this book, you can find it on Amazon, at your local library, or if you’re lucky, your local cook’s shop, you won’t be sorry you did! My cousin, from London, sent me this book. I have yet to try anything, so thanks for the recommendations! 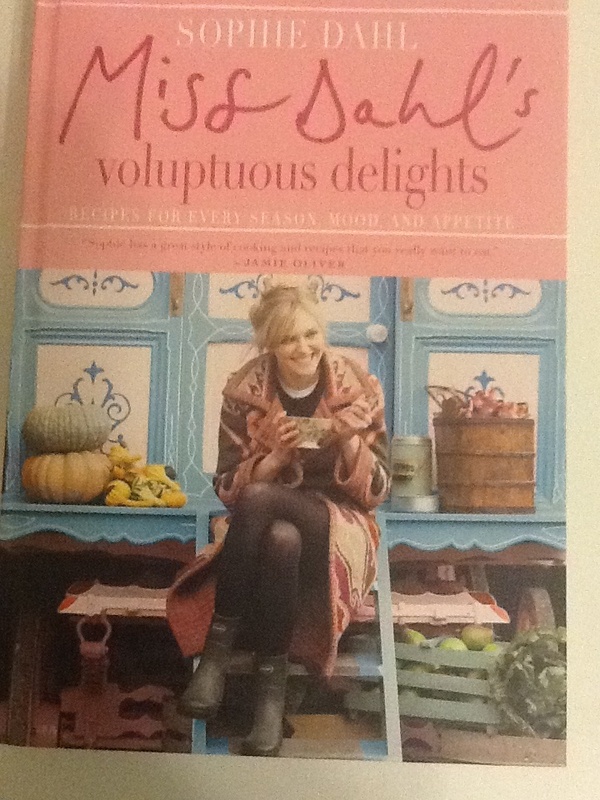 Meg, I love this cookbook…you’ll love it too! Next Next post: Tonight’s Dinner…Jealous?